"It had always been a dream of mine to become a Clinical Nurse Consultant (CNC) and when I was successful in my application for the CNC position with the Far West LHD Mental Health Drug & Alcohol Service in Dareton, I was over the moon!." Read David's full story here. "I’m trying to embrace the change of pace, and a shift in my professional practice, and I am certainly soaking in the magnificent views as I travel between rural sites. On a personal level, moving to the country has brought about a huge shift in my sense of self. A feeling of calm and beauty has been brought into my life." Read Maxine's full story here. "I completed my Speech Pathology degree in 2015 in Adelaide and soon after finishing, was on the hunt for work. Despite being born and raised in the city my heart has always been drawn to the country and when I saw a position advertised for a Speech Pathologist with the NSW Outback Division of General Practice, I immediately applied." Read Matilda's full story here. "When we arrived back in Australia we didn’t have many of the basics considered necessary to set up a home. RDN was able to financially assist me to help set up our new home. With RHPP funding, I’ve been able to re-establish myself in my profession after so many years overseas. RDN has also supported my interest in pursuing professional development opportunities. Our daughter has just started school this year and everything is falling into place. We are really enjoying living and working in the Northern Rivers." Read Ben's full story here. "I was pleasantly surprised to receive a financial package from the Rural Health Professionals Program. One of my work colleagues suggested I get in touch with the NSW Rural Doctors Network. With that, I was able to set up home and settle in quickly. I’m very grateful for the opportunity and support given to me." Read Enke's full story here. "So here I am in Temora. I’ve only just arrived but I already love the town, community and practice. I’m enjoying the relaxed lifestyle and wonderful patients who appreciate the service and don’t take it for granted." Read Michael's full story here. "Pharmacists who haven’t considered moving to a rural area as a viable option to achieve in their career should speak to those who have. The potential for growth - both financially and professionally - is huge for the innovative and imaginative pharmacist; and the lifestyle benefits are the cherry on top!" Read Andrew's full story here. "I graduated as a pharmacist from Charles Sturt University in Bathurst and to date I’ve enjoyed a diverse and exciting career with experience in both rural and urban pharmacy settings in community, hospital education, academia and business. Before moving to Coffs I worked as an intern pharmacist in Bega and as a pharmacist in Broken Hill." Read Lloyd's full story here. "As a mature age student and now rural health professional, I encourage anyone who thinks they’re “too old to try something new” to disregard that thought. When younger, I never dreamed I could be where I am today." Read Jean's full story here. Above: Jean Lawrie at work in Moree, NSW. "If you love your job as an Aged Care nurse and love looking after your patients, you will find that you can build a better relationship with your elderly patients in a rural area." Read Mia's full story here. Above: Mia Jia in Batemans Bay, NSW. "I’m so happy with my new life here. Everything is nearby and it’s easy to get around the town. The people are friendly and helpful. Now we are in Dubbo we are spending less money and can start to save for our future. I plan to stay here forever!." Read Remya's full story here. Above: Remya Ramakrishnan with her daughter in Dubbo, NSW. "RDN and the Rural Health Professionals Program has been so important to the start of my career and has alleviated the pressure of moving to Armidale. I know there’s support there if I need to access it and I feel inspired knowing there are many allied health professionals out there who have gone rural and loved it." Read Taryn's full story here. Above: Taryn Billing in Armidale, NSW. "As a health care worker in remote New South Wales I feel lucky to (finally) see this beautiful country. My colleagues are always offering assistance and Lightning Ridge felt like home after only one week. I’d recommend living and working in rural or remote Australia to any health professional, for professional reasons and overall life experience." Read Karl's full story here. 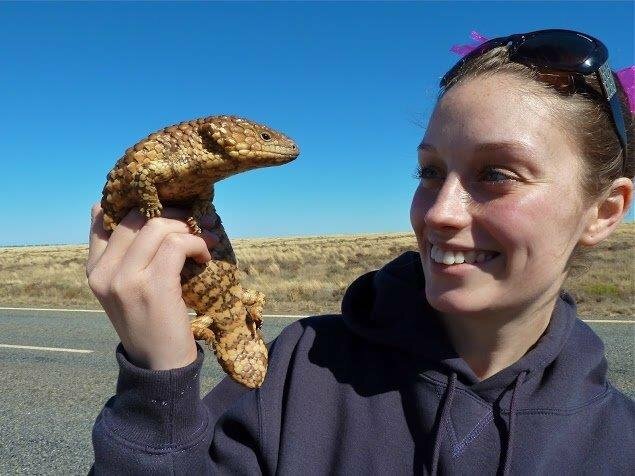 "I was fortunate to have a number of rural and remote placements during my degree, including time spent in Broken Hill and Moree, which for me cemented that rural and remote health - and health promotion - is my passion." Read Laura's full story here. Above: Laura Bate at work in Bourke, NSW. "I heard about RDN from Margo Anderson at the (former) Medicare Local in Bourke. She suggested I apply for the Rural Health Professional Program through RDN. Shelley Green and Emer O’Callaghan from RDN became my shining lights and I have immense respect for both of them." Read Inez's full story here. Above: Inez Carter at work in Walgett, NSW. "I love working within a rural community. The peace and friendliness of the country brings tranquility to my mind. I work with a great team at Grand Pacific Health. My colleagues are friendly, dedicated and hardworking and we share a common interest to improve the health of the local Indigenous community." Read Ivan's full story here. Above: Ivan Broome at work in Bega, NSW. "Through RDN I was successful in obtaining a Rural Health Professionals Program (RHPP) package to help with my relocation costs. This financial support really eased the economic burden of moving from Newcastle to Moree." Read Kirsty's full story here. "I decided I’d have an adventure and a tree/sea change, and began looking at what rural and remote options were available to me. RDN and members of the APS Remote and Rural Network were very helpful in offering support." Read Stella's full story here. "RDN and RHHP have been hugely beneficial to me in terms of support and sustainability, particularly as I need to carefully manage my workload to prevent fatigue and burn out. RHHP has provided me with financial assistance and ongoing support to ensure my longevity as a clinician and community member." Read Danielle's full story here. 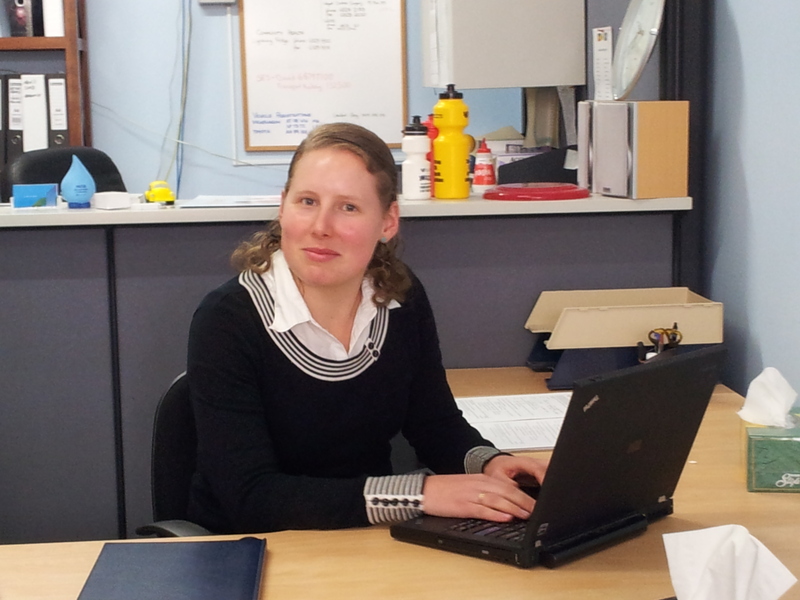 "Working rural I have experienced what it feels like to be a valued member of a team. It has allowed me to build networks and relationships with clients, colleagues and within the community, rather than being just a “number”.Every day I’m rewarded by the work I do with the Indigenous population in Dubbo. It’s amazing to see the response and development from the clients we provide a service to; not only in clinic but also in outreach programs." Read Tessa's full story here. "In truth, the first month was hard work. There had never been an occupational therapy service in Bourke before so I was very much starting from scratch. Fortunately it only took one person to change this and I managed to connect with someone who was able to assist me to engage with the community. From then on it was full steam ahead!." Read Amanda's full story here. "The lovely town of Moruya on the NSW South Coast had a tempting job opening as an OT in a new rehab unit; work I love. But how would I move two dogs, a husband still recovering from a broken arm and wrist and all our belongings across half a continent, 3000kms away? The answer was made easier with the help of the NSW Rural Doctors Network who provided support and funding through the Rural Health Professionals Program." Read Lesley's full story here. "I highly recommend the Rural Health Professionals Program and working in a rural town. If given an opportunity to work in a rural hospital, I recommend that you go for it. You will be treated as a valued employee and not just a number." Read Nisha's full story here. Above: Nisha and her daughter. "The support I have received from the NSW Rural Doctors Network has been incredible." Read Jismy's full story here. Above: Jismy and her daugher. "I would recommend to anyone considering it, to make the move to the country. Just do it! Knowing that you are making a difference in the lives of rural people is the best feeling one can have!" Read Joseph's full story here. Above: "Just do it!" Joseph has found his rural career to be very rewarding. "Without the support of the Rural Health Professionals Program I wouldn’t have even considered leaving my home in Adelaide, and wouldn’t have been in a position to attend the many professional development courses that have progressed my career." Read Emma's full story here. Above: Emma spends her weekends skiing in the Snowy Mountains. "I didn’t expect that starting a new life in a country town would be easy but it has turned out to be easier than I imagined and I’ll continue on this path for as long as I can." Read Fang's full story here. Above: Fang takes in the scenery of the Blue Mountains. "The support of RDN and funding provided by the Dental Relocation and Infrastructure Support Scheme (DRISS) has been crucial in enabling me to provide dental services to the people of Hay. DRISS enabled me to purchase some much needed equipment, including a fabulous new Orthopantomogram (OPG) machine, an important diagnostic tool which previously required the people of Hay to travel at least 120km to access in another town." Read Barry's full story here. Above: Hay dentist Barry Brims and his Orthopantomogram (OPG) machine. "The RHPP team at RDN has assisted me along the way with everything I need, from information about Australia to the registration process to apply for financial support to relocate and work in a rural NSW town. The RHPP team have been absolutely fantastic and I am very grateful for all their help." Read Louise's full story here. Above: Dentist Louise Tan with a tray of fresh Forster oysters. "I can still remember the first phone call I received from the Rural Health Professionals Program team (RHPP) at RDN, and how relieved my family and I were after the promising arrangement they offered me. To say that they made my relocation to Australia easy would be an understatement. Everything was well provided for upon my arrival. More than financial assistance, it's the security and reassurance that I’m well looked after that makes RDN different from the rest." Read Mikaela's full story here. Above: Mikaela enjoys the Coff Harbour views. Above: Warren and his family. "The RHPP team have been able to assist me along the way with matters such as registration, and to answer any of my questions. It has been invaluable to have someone always available to talk things through with, especially as I made the move to Australia on my own." Read Sara's full story here. Above: Sara takes in Macksville's coastal views. "My relationship with the NSW Rural Doctors Network (RDN) has been laden with unmerited favour, care and love. RDN’s approach to caring for its RHPP recipients is extraordinary - it is very rare to be given such support by an organisation." Read Afolake's full story here. Above: Afolake in her Tamworth office. "We were so lucky to meet with the NSW Rural Doctors Network (RDN) so early on in our relocation journey (from Northern Ireland). The support that Emer at RDN provided was worth its weight in gold." Read Margaret's full story here. Above: Margaret outside the Sydney Opera House. "When the opportunity came to work in Tamworth I welcomed it with open arms. Now, two years on, I haven’t looked back." Read Emma's full story here. Above: Emma on a friend's farm in Barraba. "Although I miss the mountains of Nepal, I have no plans to leave Narrabri. I am the only Nepalese here in Narrabri and hope to take out Australian citizenship. Ultimately, I plan to do a Masters degree in Nursing but at the moment I am just enjoying what I am doing." Read Kiran's full story here. Above: Kiran enjoying the warm Australian sun. "My husband and I have seen parts of NSW that we've never visited before. I've fallen in love with Nundle and Hanging Rock (both officially my new “happy places”), surprised myself by loving the Country Music Festival, and been spellbound by some spectacular countryside and scenery." Read Amy's full story here. Above: Amy with her son Callum at Mount Kaputar Lookout on her first Mother's Day. "A big thank you to the NSW Rural Doctors Network for your amazing support, and for the peace of mind that you are always easily accessible to provide me with any advice." Read Ahmad's full story here. Above: Ahmad with his wife and son at Barraba Races. "With the practice flourishing I only have sincere gratitude for the assistance that was provided by the NSW Rural Doctors Network. Our journey would not have been possible without their help." Read Thanuja's full story here. "Living rural is a really unique experience and I'm so grateful to have this privilege." Read William's full story here. Above: William hiking in Wagga Wagga. "Working in Leeton has been a rewarding and challenging career opportunity, and I have loved every minute of it." Read Kristy's full story here. Above: Kristy enjoys the sunset. "With the help of the Rural Health Professionals Program I was able to quickly and easily relocate, and start work as soon as possible." Read Shannon's full story here. "Moving from Sydney to Mudgee has been the best move of my life." Read Dean's full story here. Above: Dean on the golf course, Mudgee. "I feel that Orange is the best place for me." Read R.D's full story here. "This year has been better than I could have possibly imagined." Read Adrian's full story here. Above: Adrian and his fiance Lisa at the Dubbo One Night Stand Concert. "I can recall the moment that was the catalyst for me leaving the city." Read Erin's full story here. Above: Erin Doyle, picking berries in Orange. "After working at Mudgee for one year, I feel perfectly happy with the peaceful atmosphere of this rural place." Read Dolly's full story here. Above: Picturesque Mudgee streetscape at night. "The move from the coast to the country was massive with a family in tow, and to know that you’re financially covered is a huge weight off your mind." Read Kerry-Anne's full story here. Above: Kerry-Anne (right) and co-worker Deb, Dubbo. "Moving to Lightning Ridge has been quite an adventure so far, and after being here for almost three months, I’m really starting to enjoy the community and my work team." Read Lisa's full story here. Above: Lisa Newnham at work, Lightning Ridge. "Personally, I wanted a change of pace from city life, to explore new places and meet new people. This is what led me to relocate to the remote area of Bourke." Read Tiff's full story here. 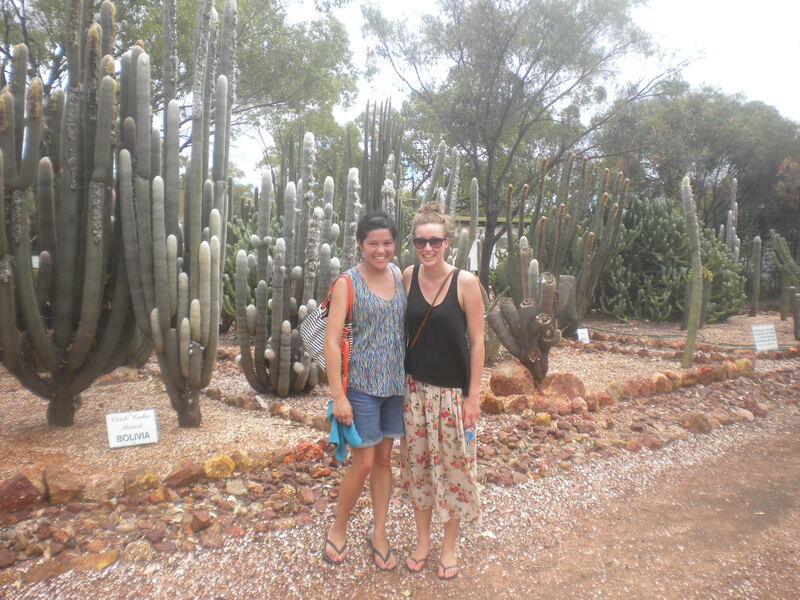 Above: Tiff Williams (right) at the Cactus Farm, Bourke. "Bourke is a really welcoming community and it’s been easy to settle in. I feel like this is my home now." Read Nicola's full story here. 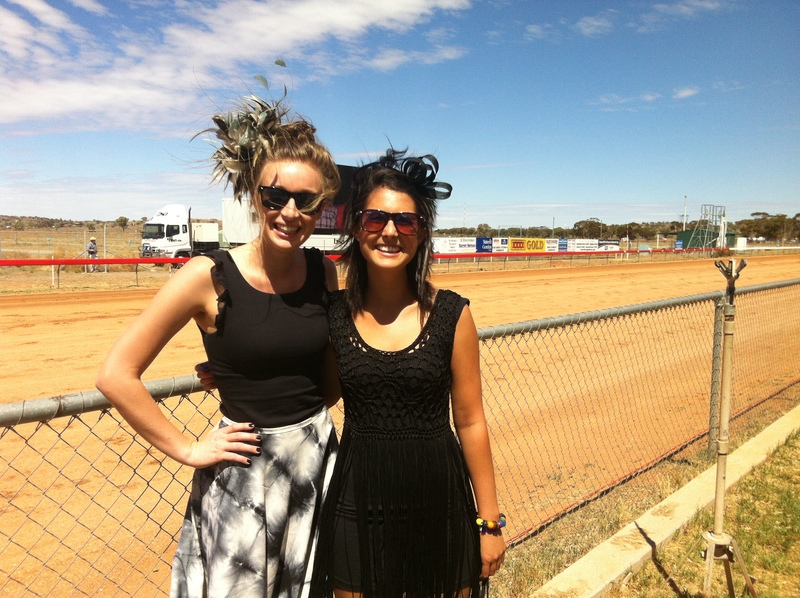 Above: Nicola Lee (right) at the Broken Hill Races. "I always intended to work in a rural location at some point in my career, and as a new graduate I felt it was the perfect time. What sold Lightning Ridge to me was a quote I read: “Want to meet someone crazy? In Lightning Ridge, it’s hard to meet someone who isn’t." Read Lisa's full story here. 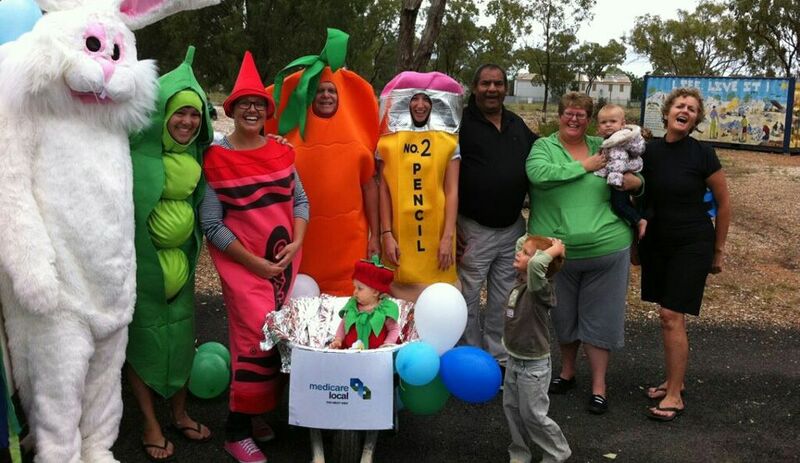 Above: Lisa Nyugen (second from left), Easter Parade, Lightning Ridge. "What do you get when you send a city chick to an outback mining town? An unforgettable life-changing adventure!" Read Courtney's full story here. Above: Courtney Challinor, Broken Hill.